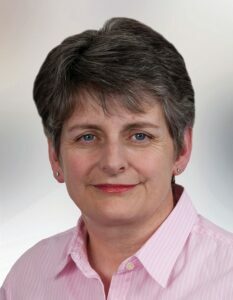 Marie is currently serving her third term on Dún Laoghaire-Rathdown County Council, having topped the poll in the Blackrock Ward in the 2009 and 2014 elections. She has been honoured to serve as Cathaoirleach or Mayor of the Council from 2004-2005 and also from 2014-2015. Marie is involved at Council Level as Chairperson of DLR Leisure Services and Board member of DLR Properties Ltd.rnMarie is also the chairperson of the Blackrock Tidy Towns Committee, Secretary of the Blackrock Business Network and Trustee of the Blackrock 29th Scouts. She is a member of the Irish Guide Dogs Association, the Foxrock Garden Club and the Blackrock Society. Marie was previously Chairperson of the Parent’s Association and on the Board of Management of Carysfort National School, involved in the Family Mass Group in Blackrock and a committee member of the Blackrock Animation Film Festival.